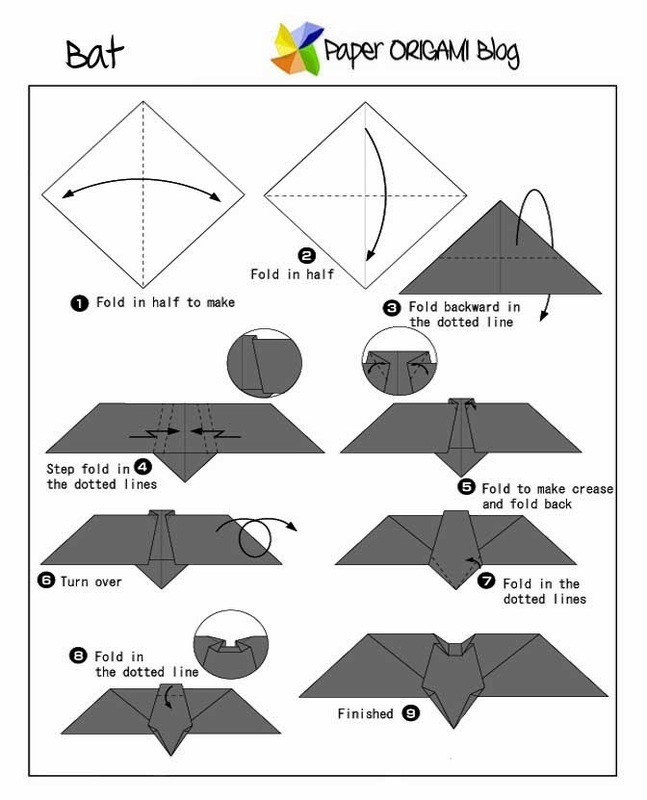 Bat Origami- Here another interesting tutorial for making BAT as origami. I know you are familiar with the movie Batman. That movie is fun though.Try to figure out first the final result on the left side. That's what we gonna make. Okay lets do it! 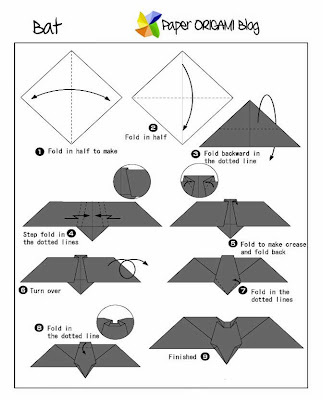 Here is the diagram below. Look carefully and follow the steps. Enjoy!